Chemical companies have to adapt to structural changes along with growing uncertainties. Key macro-economic trends such as emerging markets (including China) transitioning to new economic models, slower-for-longer global growth, the end of the commodities super-cycle (e.g. oil and gas), and higher volatility (in raw materials, currencies, financial markets) are continuing to drive these changes. 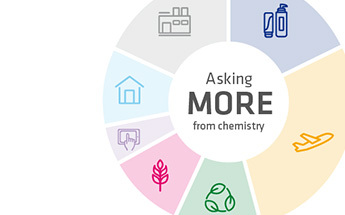 In this challenging environment, consolidation is accelerating within each segment of the chemical industry. The main players are reshaping their portfolios, reallocating resources towards a more coherent portfolio of assets. 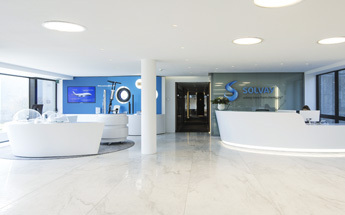 Solvay is committed to adapt to this new equation to capture future growth through anticipation, innovation and agility. Two years ago, we fully reviewed our materiality analysis in order to better understand the impacts of global and industry trends on Solvay’s activities and strategy, and to identify emerging topics. This has allowed us to identify 13 topics which are critical for the Group. These topics cover environmental, social, human, business model and innovation, leadership and governance issues, for which action plans were defined and which remain under scrutiny. This materiality analysis approach is a basis for our dialog with stakeholders. Growing world population, urbanization, changing balance of economic power and booming middle class in Asia and Africa are transforming societal and economic paradigms. These evolutions are redefining collective and individual behaviors, leading to deep mutations in the way people interact, communicate, and move around. Constantly gaining better knowledge of our customers, we are increasingly developing innovative and competitive solutions, helping them adopt simplified and accessible products and services that are tailored to the present and future demands of their end-consumers. To get closer to our customers, we regularly hold Tech Days with key actors in our markets (e.g. aeronautics, automotive, agro, etc.) to demonstrate the added value and potential they can derive from chemistry (in eco-mobility, for instance). We have also adapted our organization to foster agility and customer-centricity. By 2020, 25% of the world’s population is expected to live in cities. 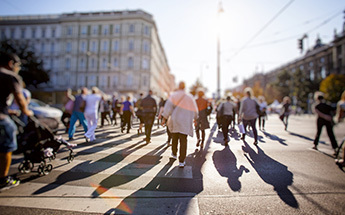 The number of people over 60 will more than double by 2050, and will represent more than a quarter of the world population. Feeding a world population of 9.1 billion people in 2050 would require raising overall food production by some 70%. The boom of digital technologies and mobility, scientific development, combined with accelerated innovation cycles are transforming how we work and how we live and consume, reshaping most of the industries. Competitiveness and sustainability are not just about keeping costs and prices low anymore, they are about innovating to meet the customer’s constantly evolving expectations. Innovation allows us to provide our customers with sustainable chemical solutions that help them address some of their challenges. Nurturing an innovative ecosystem by working in close proximity to our customers and key partners, we often innovate through co-development. Internally, our Corporate Research & Innovation team assists the Group’s Business Units in their innovation projects, not only helping them innovate more, but accelerating the speed of innovation. The size of the global digital health market is expected to reach $233.3 billion in 2020. By 2024, 89% of new cars will have embedded connectivity (vs. 15% in 2014). End products using additive-manufacturing form the industry’s fastest-growing segment, with a 60% annual growth rate. Climate change, competition for resources and space usage, sustainability of public financing challenge, etc. : resource constraints and increasing demands for sustainability are leading to critical management of environmental, financial and human resources. Industries will have to search for new sustainable solutions to both prevent and fight these changes. Our solutions contribute to meeting tomorrow’s sustainability challenges, whether by providing cleaner forms of energy for a growing number of consumers, satisfying the increasing demand for food or creating cost-effective and urban-focused mobility solutions. To accelerate our shift towards a more sustainable product portfolio, we have embedded Sustainable Portfolio Management (SPM) in all our key processes. This methodology allows us to define the ratio of environmental cost to benefit for the planet for each solution we develop, helping us measure our progress towards our ambition of raising the proportion of sustainable solutions to 40% of Group sales by 2018. By 2030, water scarcity will worsen, affecting over 3.9 billion people. By 2030, greenhouse gas emissions will increase by 40%, leading to an average temperature rise of 0.5-1.5°C. By 2030, available agricultural land per person will decline by 20% to 0.4 acres (0.16 ha. ).